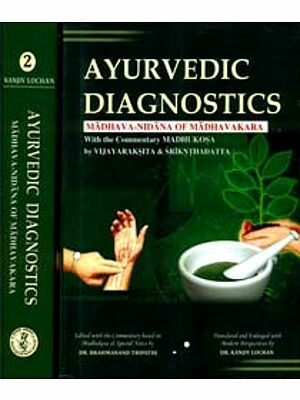 It is a great pleasure and a valuable stimulation for those interested in the important science of Ayurveda, that another Sanskrit work of basic importance becomes available in an English translation, so as to also reach a growing group in Western countries. 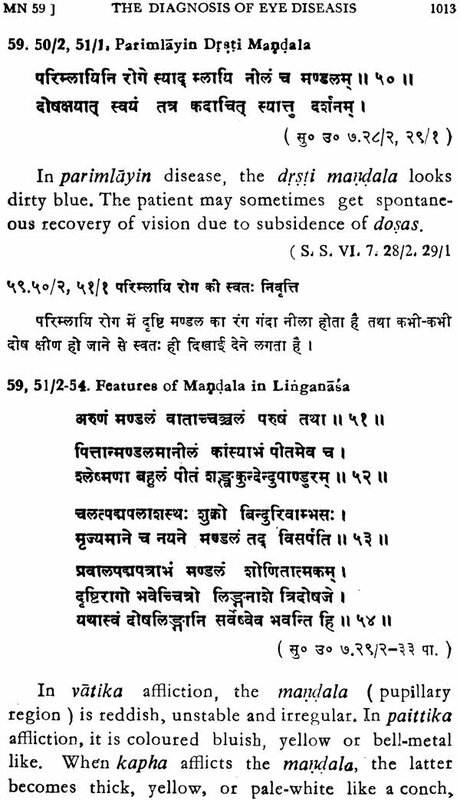 After elaborating a most valuable translation of the Susruta Samhita under the title of "Ancient Indian Surgery Series", published by Dr. G. D. Singhal, the same team is now bringing a translation of the Madhavanidana, which is a work of fundamental importance to ayurvedic diagnostics. 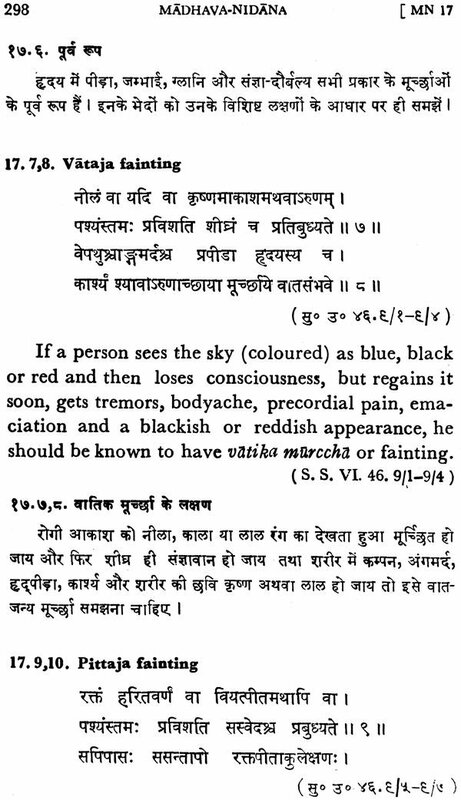 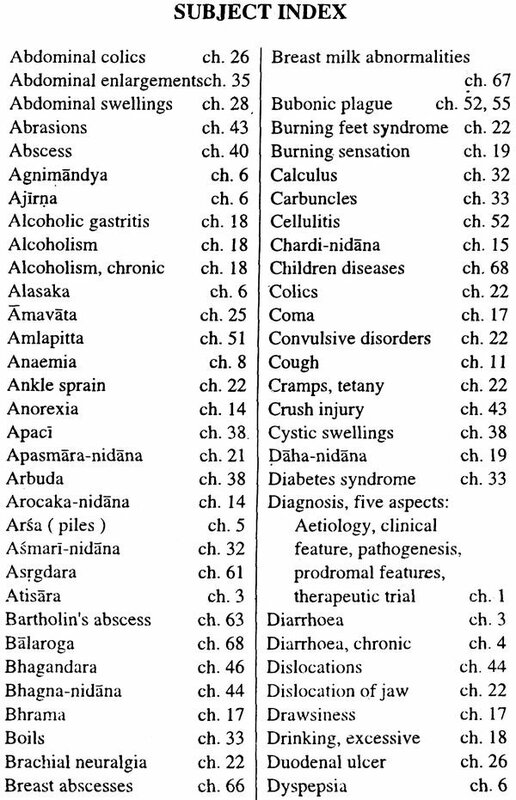 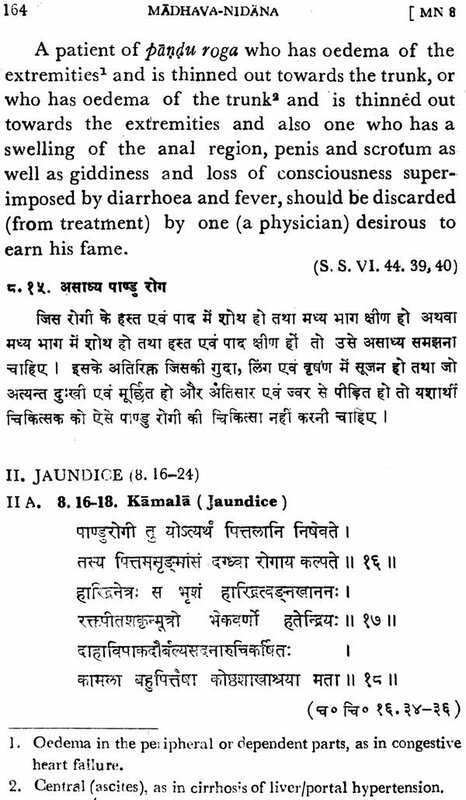 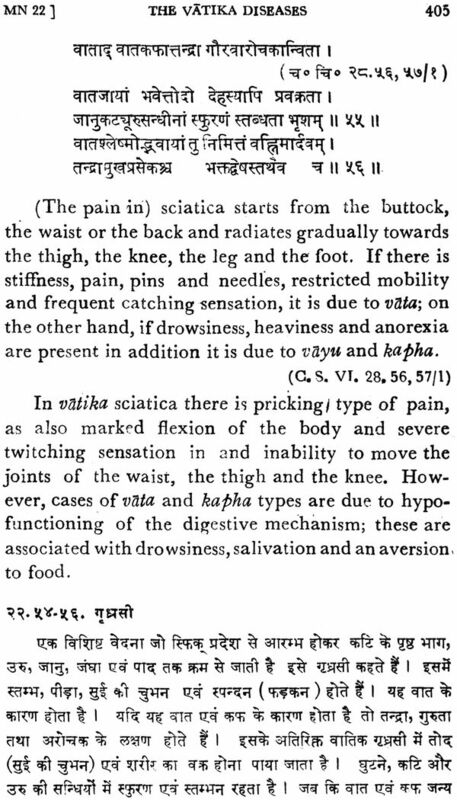 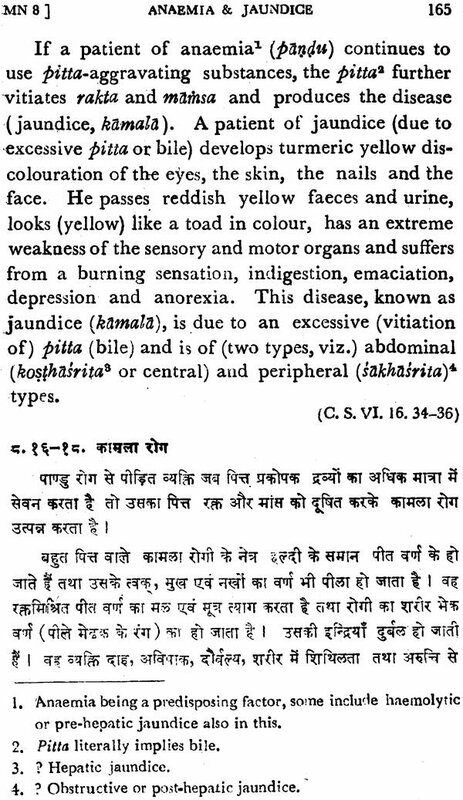 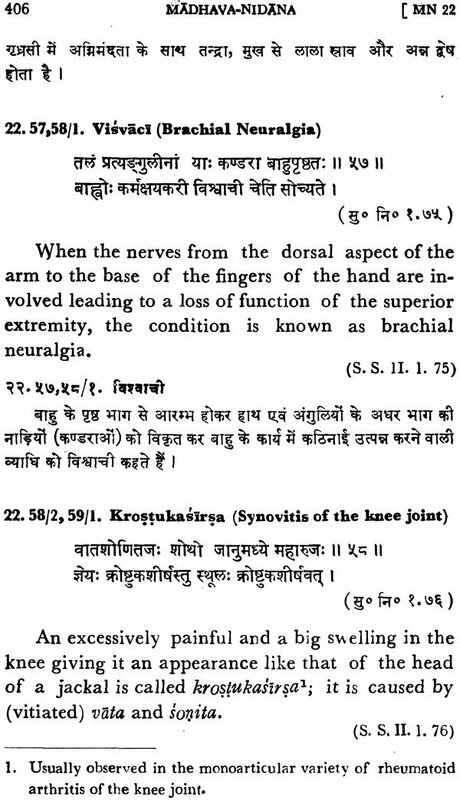 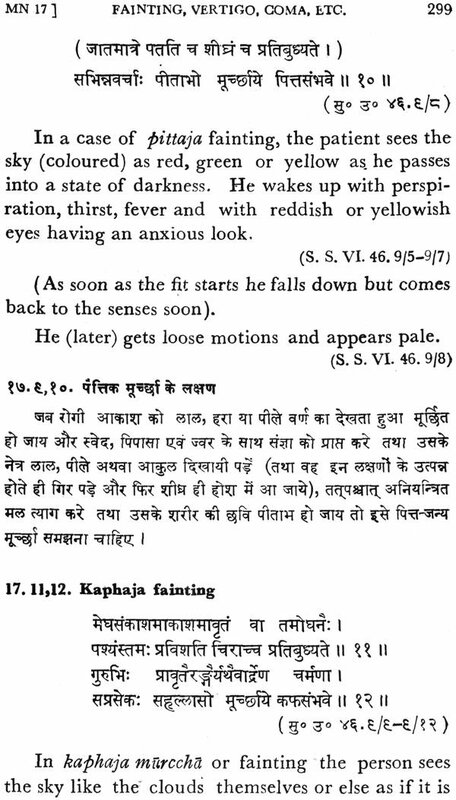 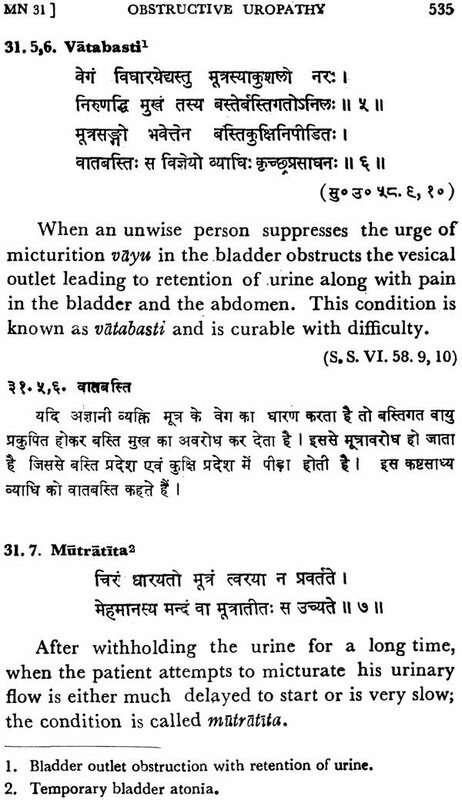 The Brhattrayi is well known to persons in the West, devoting interest and work to Ayurveda, since the Caraka Samhita has become available in a few translationas (of which, regret-tably, not all have been finished), as has also the Susruta Samhita especially in the series mentioned above. 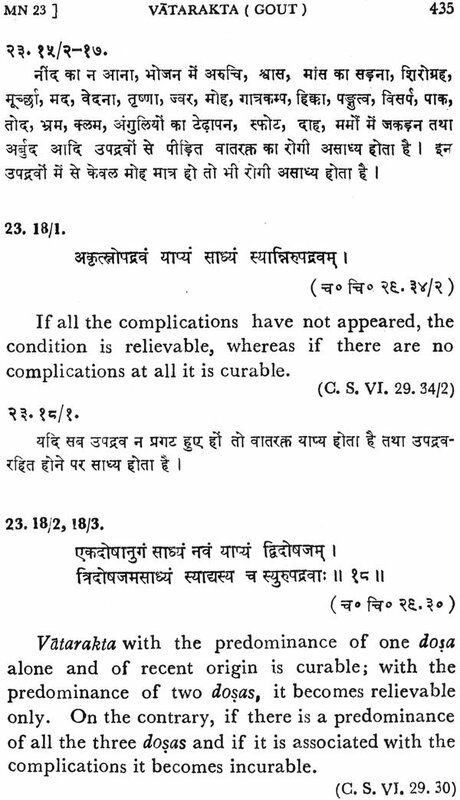 The Astangahrdaya Samhita, however, has been fully translated only into German-translations into English are so far not complete. The Astangasamgraha has not yet been fully translated. 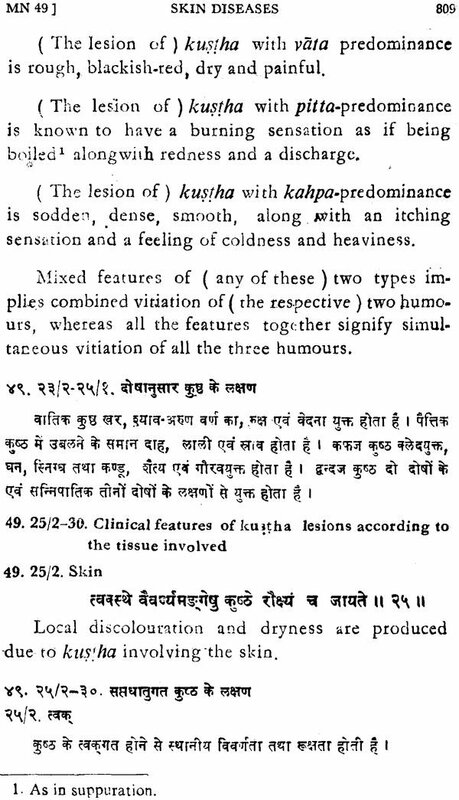 The Laghutrayi has, except for partial translations of the Madhavanidana and a small part of the Bhavaprakasa, not been accessible to Westerners without a profound knowledge of Sanskrit. 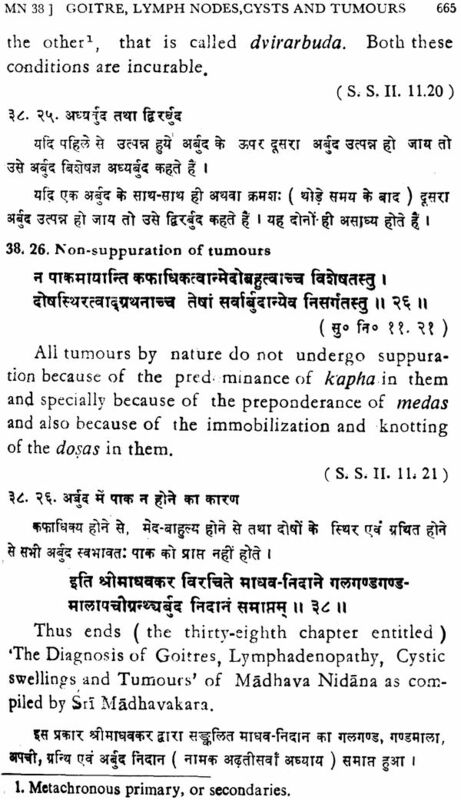 The only translation of the Madhavanidana into English is incomplete, but constitutes a very important work by the Dutch physician and sanskri-tologist Dr. C. J. Meulenbel d, an internationally known authority un Ayurveda. 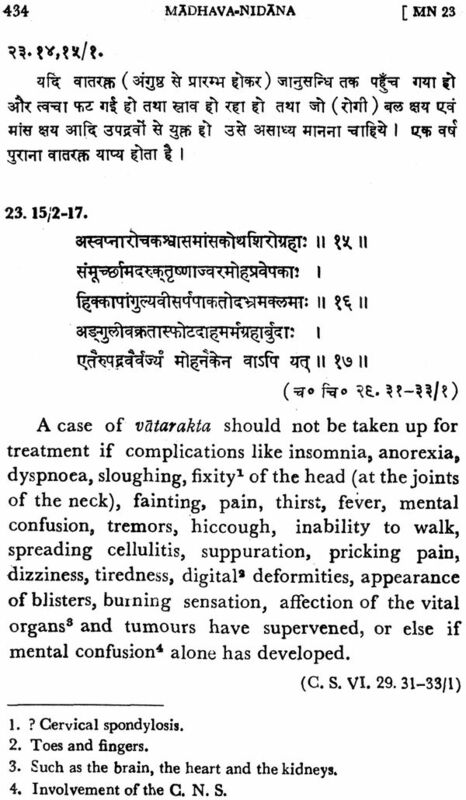 English translations of the Sarngadhara Samhita and the Bhavaprakasa are still lacking, and are much wished for. 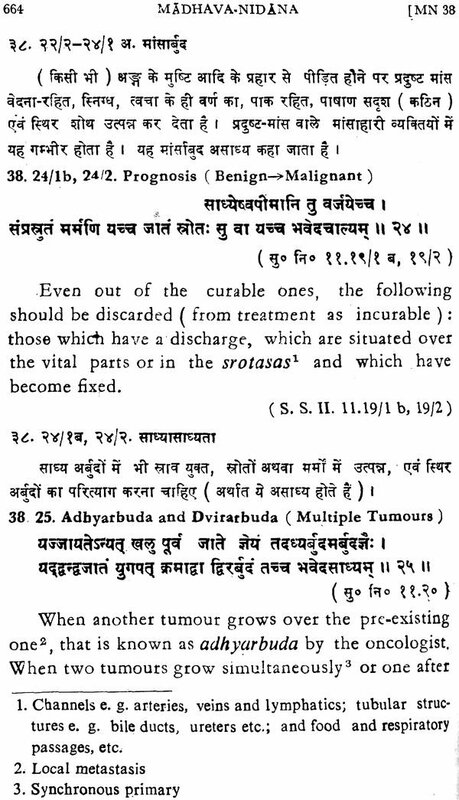 It would also be valuable, if the existing parts of the Bhela (Bheda) Samhita were to be translated, and if one narrow selection of other translated ancient scriptures on Ayurveda were to be completed and widened. 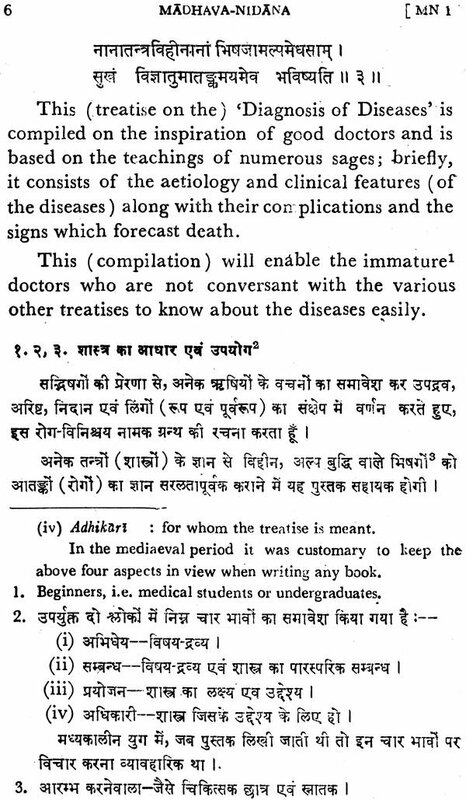 We are, after all, dealing with a medical philosophy of fundamental importance. 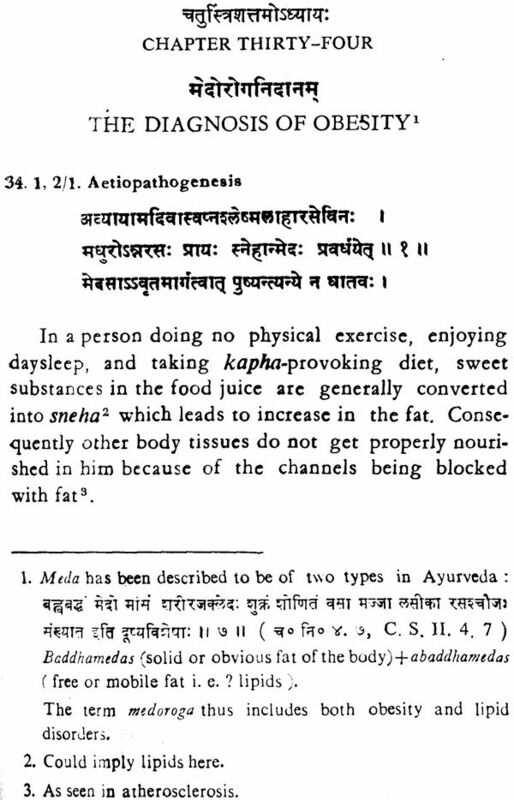 In the interest of Western readers, I add a list of translations of ancient scriptures on Ayurveda into Western Languages (excluding a few articles in journals, which only bring extracts, except for works mentioned above). 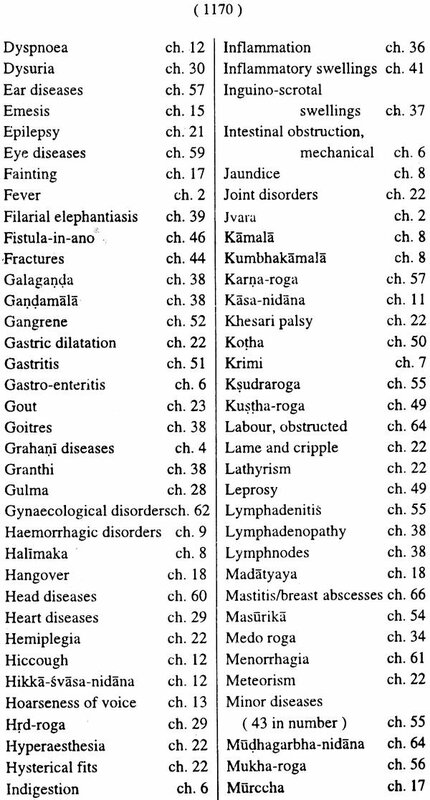 Where no other language is mentioned, the translation is into English. 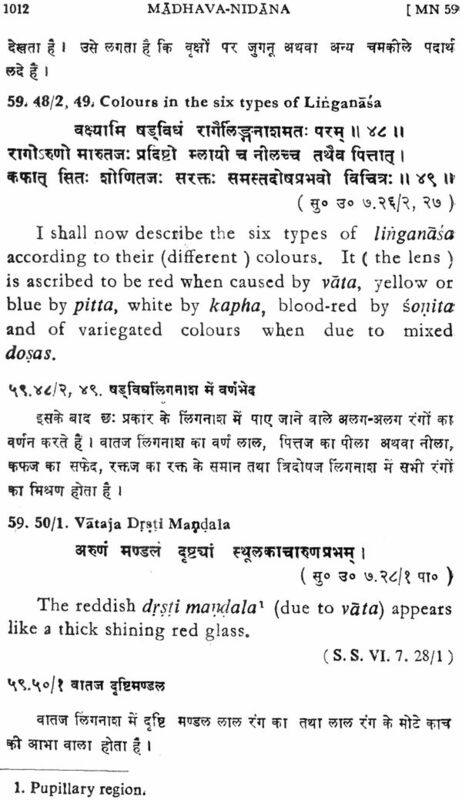 I wish to congratulate Dr. G. D. Singhal and his team for another monumental work and an important effort for bringing Ayurveda closer to readers not well-versed in Sanskrit, for thus aiding to spread the knowledge of this important science beyond the borders of India.